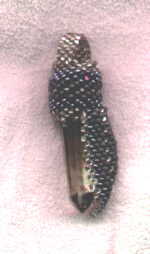 It is difficult to tell form the scan, but this crystal is embedded with tiny crystals, one is a prefect double terminated one that lies sideways below the two that can be seen protruding. 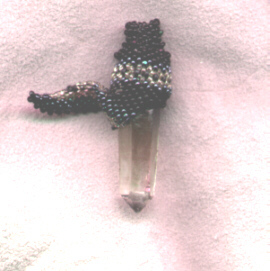 This crystal in now in the collection of Carol C. Chapel. 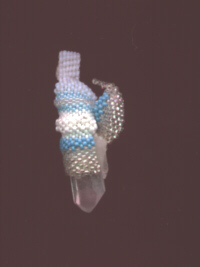 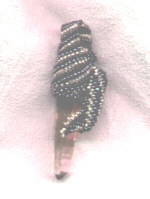 Another beaded crystal, my first freeform peyote. 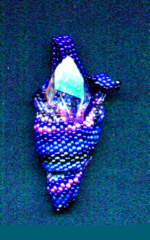 This Crystal is now in the collection of Lucy Foeller.